Pyramid structures have stood always testimony to stability, longevity, and the sheer genius of a bygone era. Its solid square base and the tapering triangular sides have fascinated architects, business consultants, academicians, and researchers alike. The versatile nature of a 3D pyramid shape aids in a variety of visualization applications across domains. 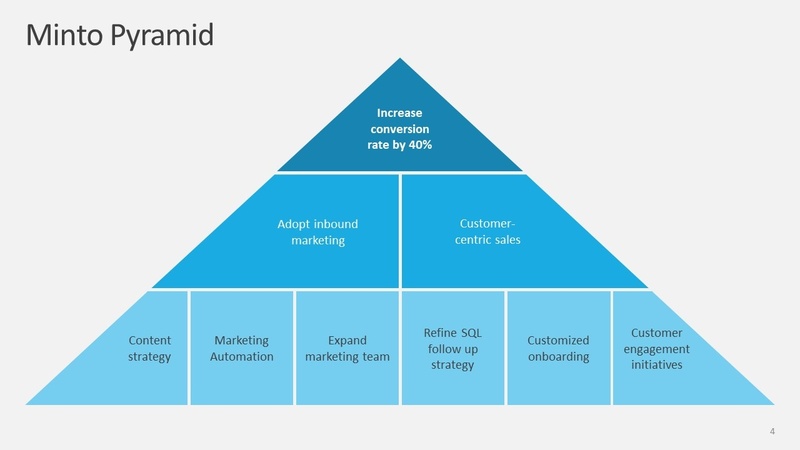 More so, in PowerPoint presentations where a captivating visual is worth a thousand words. 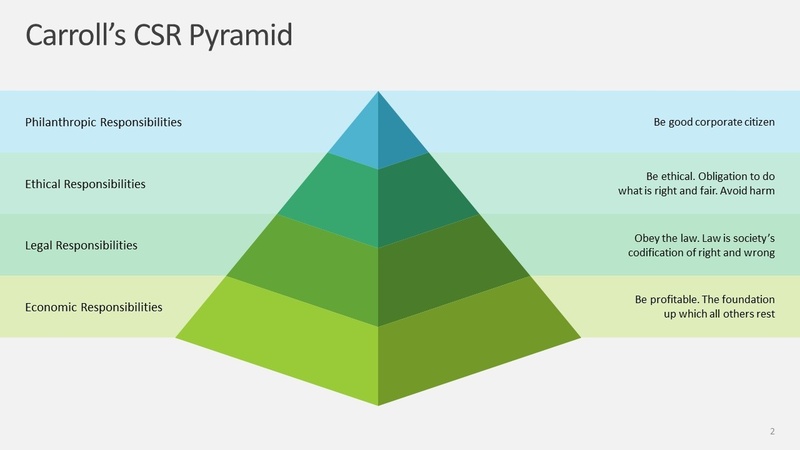 From depicting hierarchy to business strategies to problem solving to statistics, the 3D pyramid structure is a simple go-to visualization tool for most consultants and professionals. 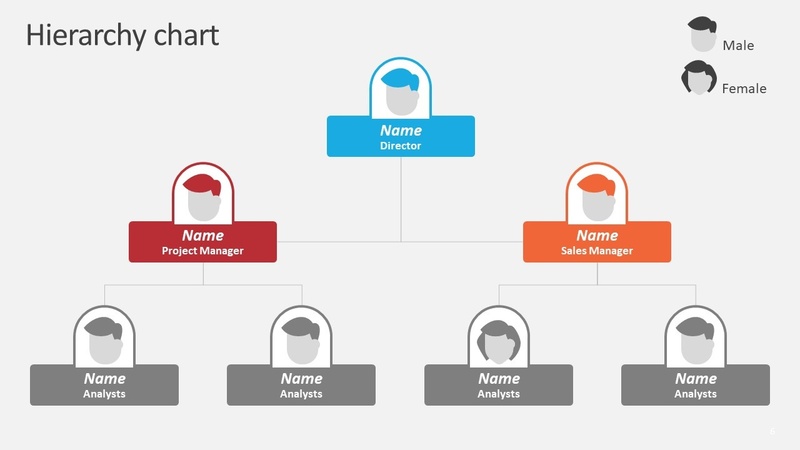 Presenting business strategies and plans: Neatly laid out, a pyramid shape is a simple way to present your company’s vision/mission statements, goals and strategies. Heard about “Carroll’s CSR Pyramid” that helps identify the four types of social responsibilities (Economic, Legal, Ethical and Philanthropic)? A single PowerPoint slide conveys it all. Easy…isn’t it? Problem Solving – Barbara Minto Way: Probably the most used problem solving technique by consultants. This helps layout problems and their solutions so succinctly that you just always seek this out to communicate visually to clients and stakeholders. Presenting Data: Numbers, percentages, bar graphs, pie charts. Break the stereotype now. Time to explore the unbeaten path to present your data. 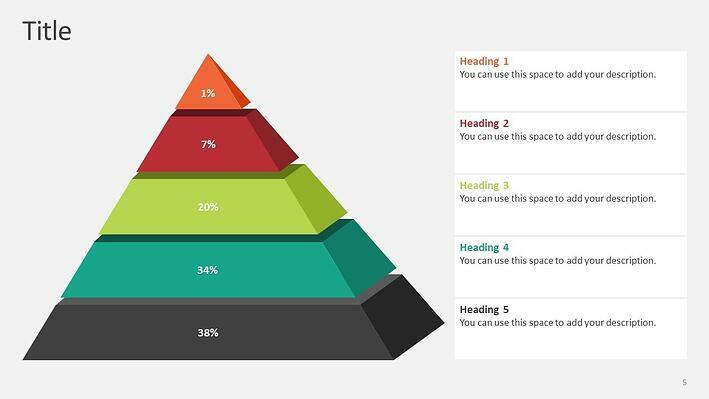 Try the 3D pyramid chart for your next presentation. Now isn't this a real versatile shape? 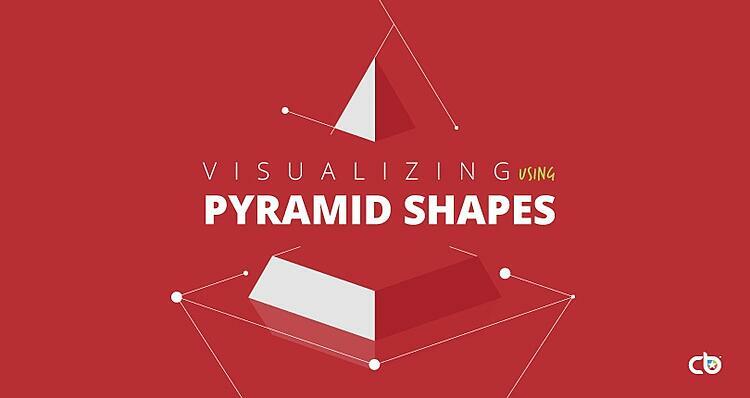 Have you used any out-of-the-box visualization with the 3D pyramid shape? We would love to hear from you.Tell us about it in the comments sections.